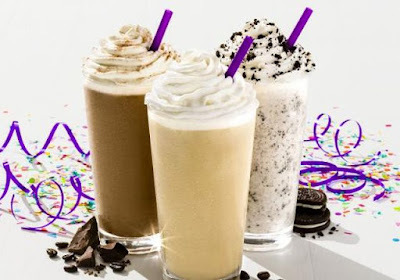 Celebrating the drink's 30th anniversary and welcoming the 2017 summer season, The Coffee Bean & Tea Leaf launches a trio of new, limited-time Ice Blendeds. - Cold Brew Ice Blended - Cold brew coffee blended with milk and ice. - Cookies & Cream Ice Blended - Milk, the chain's signature powder, ice, and chocolate cookies blended together. - Single Origin Mocha Ice Blended - Ghana single origin chocolate blended with milk, the chain's signature powder, and ice. Available with or without coffee. If you're looking to save some cash while trying the new drink, The Coffee Bean will be blending them up for $2 per small-sized cup on Thursday, May 25, 2017, from 2 to 6 PM. Photo via The Coffee Bean & Tea Leaf.